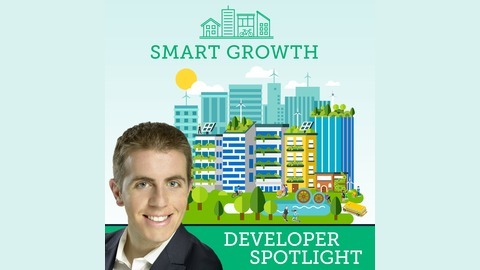 Join Smart Growth Founder Chris Porto as he interviews top real estate developers who are contributing to the "smart growth" of cities around the world. We focus in on their work developing urban infill, mixed use and transit oriented projects. We also explore and unpack the career paths of these leaders in society. What are their development philosophies for a sustainable future and their mindset as real estate entrepreneurs? And what are their methods for building wealth in this business? 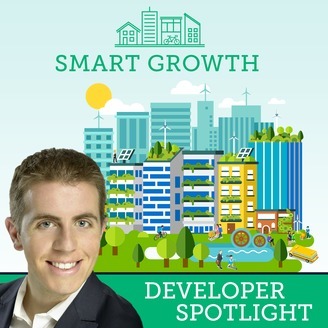 Patrick Kennedy is the owner of Panoramic Interests, a development firm that has been building housing, live-work space, and commercial property in the Bay Area since 1990. The firm has focused on dense, mixed-use, mixed-income, infill developments, typically financed with private funds. All of the multi-family housing projects include below market rate units. The firm’s projects incorporate the Smart Growth principles designed to discourage auto use, mitigate sprawl, encourage local business, and enhance the pedestrian streetscape. CITYSPACES® MicroPAD® (Prefab Affordable Dwelling) is a steel modular dwelling, specifically designed to meet the needs of homeless people. The 160 SF units have a private kitchen and bath, 9 ft ceilings, large windows for natural light & ventilation, engineered soundproofing, and state-of-the-art seismic design and fire-safety. CITYSPACES® 333: City Gardens is a 200-unit apartment project at the western edge of SoMa, adjacent to the Mission District in San Francisco; it will have 102 Duos (2-bedroom apts) and 98 Suites (4-bedroom apts). The project is car-free, and a model of Ultralight Urbanism®. CITYSPACES® 2539: The Nexus is a car-free infill project located in the Southside of UC Berkeley campus; it will have 70 apartments and a cafe. CITYSPACES® 2711: Shattuck Studios, a 22-unit four-story car-free project, will be the first all-steel modular construction in the U.S.; the efficiently designed spaces are a 10-minute walk from downtown Berkeley & UC Berkeley Campus. CITYSPACES® 500 Kirkham is mixed-use apartment project located next to the West Oakland BART station; it comprises 1,032 units, a pharmacy, café, and over 40 spaces for local small businesses.